Get ready for fun, feathers and a fantastic good time! Journey to a charming and delightful village, where everyone begins their days before dawn, thanks to the town's punctual (and loud!) rooster. But, when some of the locals begin to resent the bird's early morning racket, they hatch a scheme to get rid of him. Can the community join together and find a solution to their problem? 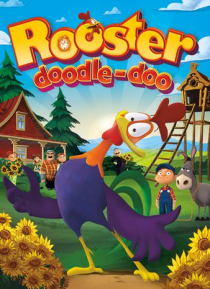 Find out in thi… s entertaining animated comedy that will have the whole family laughing - and maybe even crowing!